Let me tell you an embarrassing story of how I wasted three weeks of research time during graduate school six years ago. It was the end of my second semester of coursework. I had taken all of my exams early and all my projects for the semester had been submitted. Since my school obligations were essentially nil, I started experimenting with (automatically) identifying prescription pills in images, something I know a thing or two about (but back then I was just getting started with my research). At the time, my research goal was to find and identify methods to reliably quantify pills in a rotation invariant manner. Regardless of how the pill was rotated, I wanted the output feature vector to be (approximately) the same (the feature vectors will never be to completely identical in a real-world application due to lighting conditions, camera sensors, floating point errors, etc.). After the first week I was making fantastic progress. My method was only working with round, circular pills — I was getting completely nonsensical results for oblong pills. I racked my brain for the explanation. Was there a flaw in the logic of my feature extraction algorithm? Was I not matching the features correctly? Or was it something else entirely…like a problem with my image preprocessing. It turns out that during the image preprocessing phase, I was rotating my images incorrectly. Figure 1: Rotating a circular pill doesn’t reveal any obvious problems. Figure 2: However, rotating oblong pills using the OpenCV’s standard cv2.getRotationMatrix2D and cv2.warpAffine functions caused me some problems that weren’t immediately obvious. In essence, I was only quantifying part of the rotated, oblong pills; hence my strange results. I spent three weeks and part of my Christmas vacation banging my head against the wall trying to diagnose the bug — only to feel quite embarrassed when I realized it was due to me being negligent with the cv2.rotate function. You see, the size of the output image needs to be adjusted, otherwise, the corners of my image would be cut off. How did I accomplish this and squash the bug for good? To learn how to rotate images with OpenCV such that the entire image is included and none of the image is cut off, just keep reading. 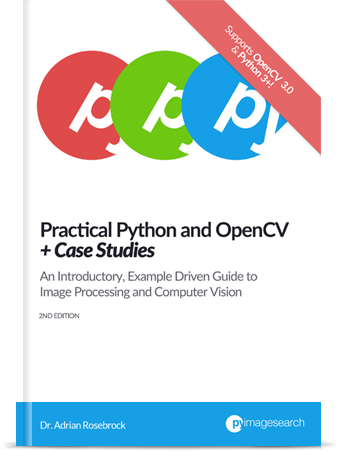 In the remainder of this blog post I’ll discuss common issues that you may run into when rotating images with OpenCV and Python. Specifically, we’ll be examining the problem of what happens when the corners of an image are “cut off” during the rotation process. Start with a simple example demonstrating the rotation problem. Provide a rotation function that ensures images are not cut off in the rotation process. Discuss how I resolved my pill identification issue using this method. Let’s get this blog post started with an example script. Lines 2-5 start by importing our required Python packages. From there, Lines 8-10 parse our command line arguments. We only need a single switch here, --image , which is the path to where our image resides on disk. Line 14 loads the image we want to rotate from disk. We then loop over various angles in the range [0, 360] in 15 degree increments (Line 17). For each of these angles we call imutils.rotate , which rotates our image the specified number of angle degrees about the center of the image. We then display the rotated image to our screen. Lines 24-27 perform an identical process, but this time we call imutils.rotate_bound (I’ll provide the implementation of this function in the next section). As the name of this method suggests, we are going to ensure the entire image is bound inside the window and none is cut off. Figure 3: An example of corners being cut off when rotating an image using OpenCV and Python. As you can see, the image is “cut off” when it’s rotated — the entire image is not kept in the field of view. Figure 4: We can ensure the entire image is kept in the field of view by modifying the matrix returned by cv2.getRotationMatrix2D. Awesome, we fixed the problem! So does this mean that we should always use .rotate_bound over the .rotate method? And what’s going on under the hood? I’ll answer these questions in the next section. Let me start off by saying there is nothing wrong with the cv2.getRotationMatrix2D and cv2.warpAffine functions that are used to rotate images inside OpenCV. In reality, these functions give us more freedom than perhaps we are comfortable with (sort of like comparing manual memory management with C versus automatic garbage collection with Java). The cv2.getRotationMatrix2D function doesn’t care if we would like the entire rotated image to kept. It doesn’t care if the image is cut off. And it won’t help you if you shoot yourself in the foot when using this function (I found this out the hard way and it took 3 weeks to stop the bleeding). Instead, what you need to do is understand what the rotation matrix is and how it’s constructed. Figure 5: The structure of the matrix M returned by cv2.getRotationMatrix2D. This matrix looks scary, but I promise you: it’s not. To understand it, let’s assume we want to rotate our image degrees about some center coordinates at some scale (i.e., smaller or larger). That’s all fine and good for simple rotation — but it doesn’t take into account what happens if an image is cut off along the borders. How do we remedy this? On Line 41 we define our rotate_bound function. This method accepts an input image and an angle to rotate it by. We assume we’ll be rotating our image about its center (x, y)-coordinates, so we determine these values on lines 44 and 45. Given these coordinates, we can call cv2.getRotationMatrix2D to obtain our rotation matrix M (Line 50). However, to adjust for any image border cut off issues, we need to apply some manual calculations of our own. We start by grabbing the cosine and sine values from our rotation matrix M (Lines 51 and 52). This enables us to compute the new width and height of the rotated image, ensuring no part of the image is cut off. Once we know the new width and height, we can adjust for translation on Lines 59 and 60 by modifying our rotation matrix once again. Finally, cv2.warpAffine is called on Line 63 to rotate the actual image using OpenCV while ensuring none of the image is cut off. For some other interesting solutions (some better than others) to the rotation cut off problem when using OpenCV, be sure to refer to this StackOverflow thread and this one too. Let’s get back to my original problem of rotating oblong pills and how I used .rotate_bound to solve the issue (although back then I had not created the imutils Python package — it was simply a utility function in a helper file). 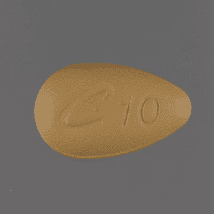 Figure 6: The example oblong pill we will be rotating with OpenCV. Lines 2-5 import our required Python packages. Again, make sure you have installed and/or upgraded the imutils Python package before continuing. We then parse our command line arguments on Lines 8-11. Just like in the example at the beginning of the blog post, we only need one switch: --image , the path to our input image. 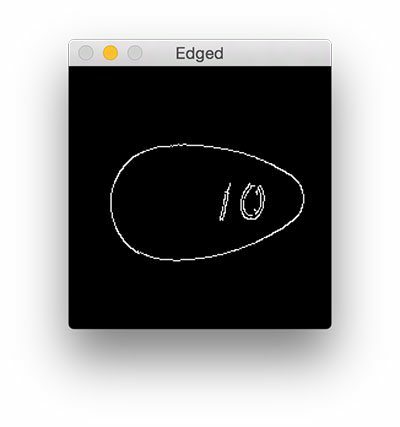 Figure 7: Detecting edges in the pill. First, we ensure that at least one contour was found in the edge map (Line 26). Provided we have at least one contour, we construct a mask for the largest contour region on Lines 29 and 30. Figure 8: The mask representing the entire pill region in the image. Given the contour region, we can compute the (x, y)-coordinates of the bounding box of the region (Line 34). Using both the bounding box and mask , we can extract the actual pill region ROI (Lines 35-38). Figure 9: Incorrectly rotating an image with OpenCV causes parts of the image to be cut off. Notice how the pill is cut off during the rotation process — we need to explicitly compute the new dimensions of the rotated image to ensure the borders are not cut off. Figure 10: By modifying OpenCV’s rotation matrix we can resolve the issue and ensure the entire image is visible. Using this function I was finally able to finish my research for the winter break — but not before I felt quite embarrassed about my rookie mistake. In today’s blog post I discussed how image borders can be cut off when rotating images with OpenCV and cv2.warpAffine . The fact that image borders can be cut off is not a bug in OpenCV — in fact, it’s how cv2.getRotationMatrix2D and cv2.warpAffine are designed. While it may seem frustrating and cumbersome to compute new image dimensions to ensure you don’t lose your borders, it’s actually a blessing in disguise. OpenCV gives us so much control that we can modify our rotation matrix to make it do exactly what we want. Of course, this requires us to know how our rotation matrix M is formed and what each of its components represents (discussed earlier in this tutorial). Provided we understand this, the math falls out naturally. 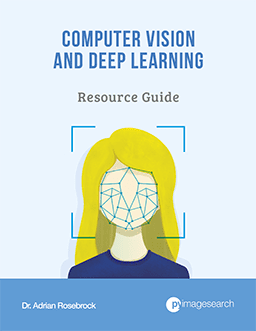 To learn more about image processing and computer vision, be sure to take a look at the PyImageSearch Gurus course where I discuss these topics in more detail. Otherwise, I encourage you to enter your email address in the form below to be notified when future blog posts are published. do you know any ml/ deep learning NN architectures that are rotation invariant inherently, without image preprocessing and thus creating multiple train exemplars leading to the same classification (as I suppose you do) ? I have googled the topic without success. This is still an active area of research. Focus your search on “steerable filters + convolutional neural networks” and you’ll come across some of the more recent publications. The problem here is that rotation invariance can vary based on what type of dataset you’re working with. For example, rotation invariance for natural scene images (broad classification and therefore easier) is much easier than obtain than say rotation invariance for fine-grained classification (such as pill identification). This is very useful. Thanks, Adrian, and Happy New Year! Happy New Year to you as well David! Excellent! Any easy to way to return a mask for the portions of the rotated image that are not part of the image itself? Thanks for posting this. I have a question for you. What if you were interested in the opposite scenario? That is, if you were doing object tracking and you wanted to calculate the rotation angle as the object is rotating. For example, you may take a reference image of an object, and then track the object realtime using the webcam while the object is rotating back and forth. I am interested in the angle of the object in the current frame relative to the angle of the object in the reference frame. For simplicity, let’s for now assume that the object only rotates along the axis of the camera, and does not change size. Could you point me to the right direction for this? There are multiple ways to accomplish this, each of them based on the actual shape of the object you are working with. The best solution would be to determine the center of the object and a second identifiable point of some sort on the object that can be detected across many frames. Exactly which method you use is really dependent on the project. Once you have these points you can measure how much the object has rotated between frames. 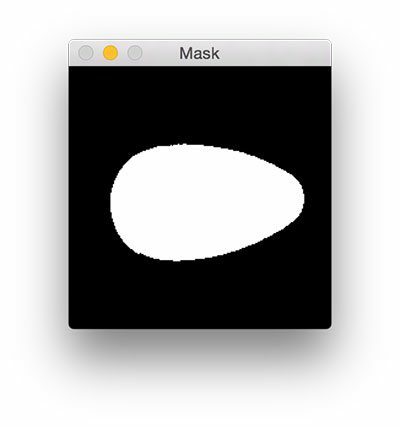 For irregular objects you could simply compute the mask + bounding box and then compute the minimum-enclosing rectangle which will also give you the angle of rotation. Thanks for the reply. Let’s say that we are trying to create a more general algorithm under the following scenario: we would like to detect the rotation of different objects, but in all cases the object is circular and has a detectable pattern to it that’s not symmetric (therefore it would be possible to tell the angle). However, let’s say the pattern itself is not always the same. Consider for instance company logos that are circular. Usually the pattern here is an annulus and the detectable features are not necessarily the same from one logo to another, except for that the features are located in an annulus around the center. I was thinking about taking a reference on the annulus and then tracking the rotational angle. However, I’m not sure if there is a better approach, and how to make this approach computationally efficient. If SIFT or SURF algorithms are used, I fear they would not be efficient so I was hoping there would be a better method. The standard approach here would be to use SIFT/SURF, keypoint matching, and RANSAC. You mentioned wanting to create a “general algorithm”, but in reality I don’t think this is advisable. 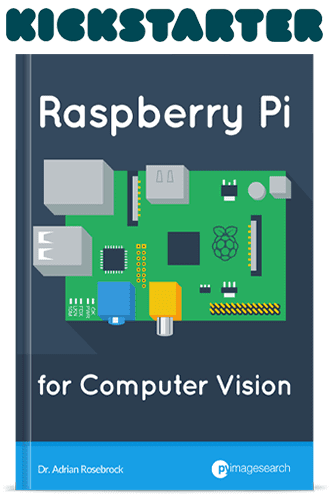 Most successful computer vision applications focus on a specific problem and attempt to solve it. Take logo recognition for example — we’ve become better at logo recognition but it’s not solved. I would suggest you start with SIFT/SURF and see how far it gets you in your particular problem, but try to stay away from solving “general” problems. I am trying to do some mapping between coordinates after rotation using your code. But I don’t get the correct mapping unfortunately. What if rotation center is not the center of image? If the rotation center is not the center of the image then you would need to update the translation components of the matrix to reflect this. If you wanted a reversible version of this, would it be best to pad the original image and rotate the “bad” way, or to use the “good” way and crop once it was reversed? Hi Chris — I’m not sure what you mean by a “reversible” verison? Hey Adrian. First of all thank you for all your great posts, really helpful and fun to read. I think that Chris wanted to say how would you approach to “undo” such rotation. Say, if you rotated it 10 degrees counter-clockwise with rotate_bounds you will get the new sized imaged and the content correctly rotated (not clipped). What if you want to rotate 10 degrees clockwise? To “undo” such rotation… I tried your approach, and doing this results in the image correctly rotated (like its original un-rotated version) but with a size much larger than the original one had, and a buffer of zeros around it. What could be an approach to avoid that? Perhaps doing rotation as you explained, but then clip or resize the image to the shape the original one had? Hi Adrian, thank you for this post- I have an 3 *3 Rotation matrix, How can I apply this rotation matrix for an original image and find the transformed image. The 3 *3 matrix is obtained using angles measured by x,y,z direction of the camera. Thank you for the great post. I wonder is there a quick way to map a pixel coordinate at (x,y) in an image rotated by rotate_bound function back to the coordinate in the original image? Java implementation without minus on the angle. I was trying to implement your code but i faced one problem , once i run above code , finely the image loaded but how to rotate it in any direction ? I’m beginner in this field. When i run the code , image open finely. After what ? Is it rotate by its own in any direction such as clock wise or anti-clock wise ? Or , i should use mouse click but it didn’t work. Hey Sam — thanks for the comment, although I’m a bit confused by the question. You do not use your mouse to rotate the image. The amount in which the image is rotation is indicated by the rotation angle in the code. I’m having the same problem as Sam. The image opens but doesn’t rotate. Ive tried both python rotate_simple.py –image images/saratoga.jpg and python rotate_pills.py –image images/pill_01.png. I’m using windows. Could that be a problem? Got it, you need to increase waitkey time. Or you can click the active window and press any key on your keyboard. The cv2.waitKey(0) call will wait until you click the window opened by OpenCV and then hit a key. Upon applying the rotate_bound function to my images, it appears that the color of the image was also altered. Any idea why this is? That’s quite odd. Can you be more specific on what “altered” means in this context? Maybe it is because that cv2.imread uses BGR to load images. That wouldn’t matter, but now that you bring it up, I bet George is trying to use a function other than cv2.imshow to display the image. When using the rotate_bound, is there a way to get the mapping of each pixel to its new location? The homography matrix generated by OpenCV can be use to map the location of one pixel in the original image to the location of the pixel in the new image. Hey, Following techniques given here- I want to detect a phone in image and automatically rotate image to make phone in portraight or landscape mode. Using your document scanner tutorial I can find countour, but how to auto rotate image? Once you have detected the phone itself you can extract the ROI and call imutils.rotate_bound to rotate the actual phone region. I had a question regarding the rotation and display function. I’m developing an application using OpenCV and PyQT. The problem is that OpenCV has a rotation function and even PyQT. So is it better to use the rotation function of PyQT or OpenCV? Also, for eg loading an image, the OpenCV format is in BGR whereas for PyQt it’s RGB. Which function is faster and better while loading an image, is it better to use OpenCV function imshow, or is it better to convert the image channels from BGR to RGB and then load it in PyQT? Sorry, I’m not very familiar with PyQT so I unfortunately don’t have much advice there. I personal suggestion would be for OpenCV to handle all image processing functions and only then hand off to PyQT to display the image, but again, I don’t have much knowledge over PyQT. Awesome explanation on the topic. I have a doubt though. How does warpAffine() work? I have been trying to write the C++ code that does the same as warpAffine but haven’t been able to. Any ideas on the same? Under the hood the “cv2.warpAffine” function is performing a affine transformation. 3) lastly on the y and z rotation plane. Your code is written for a rotation on the x and y plane. How would I go about calculating (cX, cZ), and (cY, cZ) [lines 44 & 45]? What should be done differently? Please excuse me if the answer to my question is evident, as I have little background in this area. M = cv2.getRotationMatrix2D((cX, cY), -angle, axis=1.0) ? I don’t think OpenCV has a built-in 3D rotation function but you may want to refer to this GitHub repo which seems to address your question. How to correctly perform an arbitrary affine transformation (without cropping) ? First thanks for your amazing tutorials, they are the best! My question is: In figure 8, why is the pill mask filled in white? Should it be just white edges? No, we used cv2.drawContours(mask, [c], -1, 255, -1) to draw the contours. The final “-1” means that we want the contour filled in. I have one question. Is there a way to change the black background color to white? 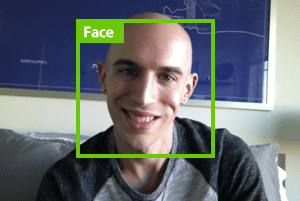 Have you segmented your image and created a binary mask? If so, “cv2.bitwise_not” would flip the background to white. Thanks for the useful post. I have a question – I want to crop a part of an image, say for instance draw a rectangle at a desired angle over a small portion in a large image and then crop that part. You can do that using NumPy array slicing. 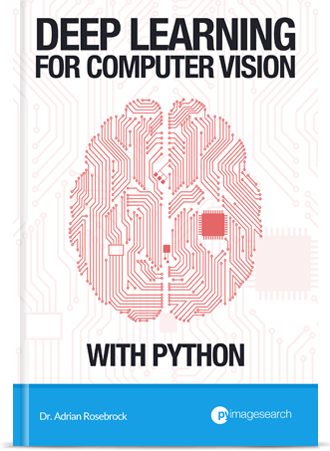 I cover how to extract portions of an image inside Practical Python and OpenCV. Definitely start there! You cannot crop a rotated rectangle with OpenCV. You would first crop the “normal” rectangle and then use masking to mask out the regions you do not want.